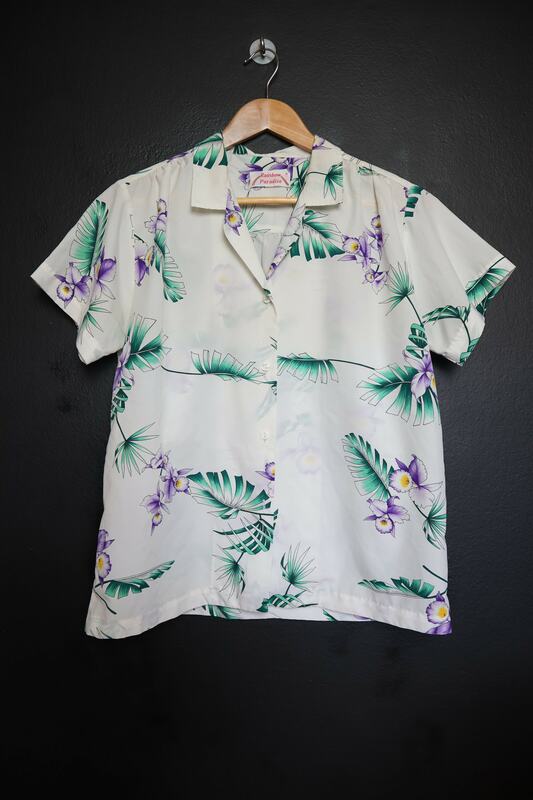 White & Purple Floral Hawaiian 1980's Vintage Shirt. 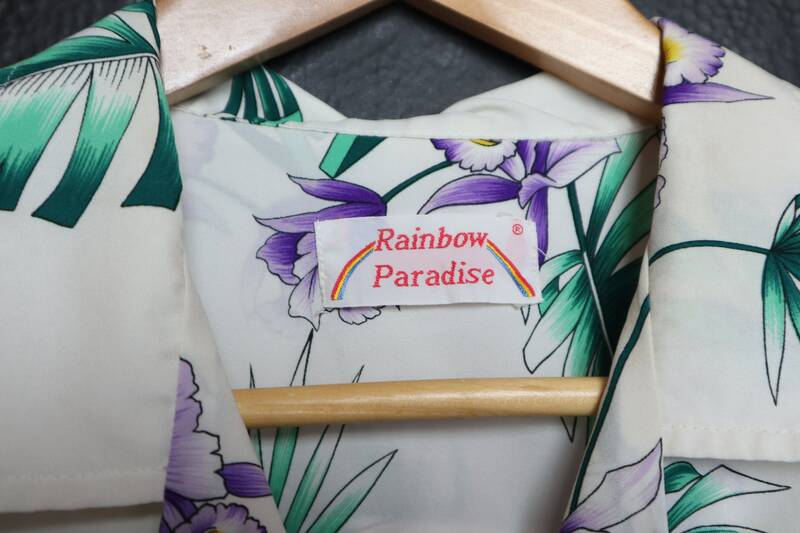 Rainbow Paradise. 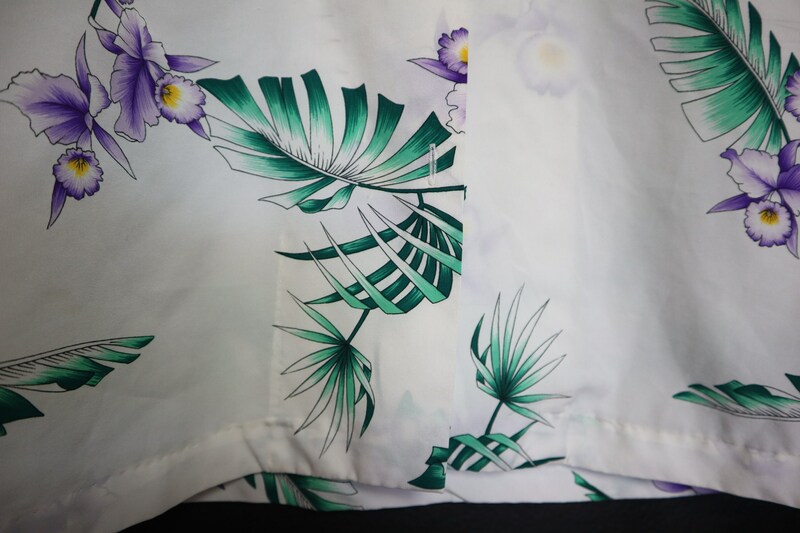 No size tag, approx size M/L.